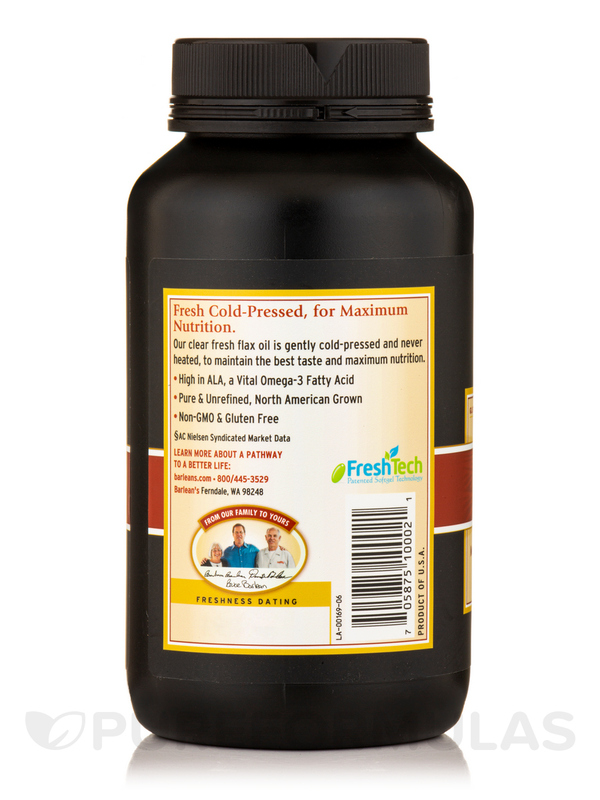 Flax Oil 1000 mg by Barlean's Organic Oils helps to bring hot flushes under control. Remember to take after meal though. 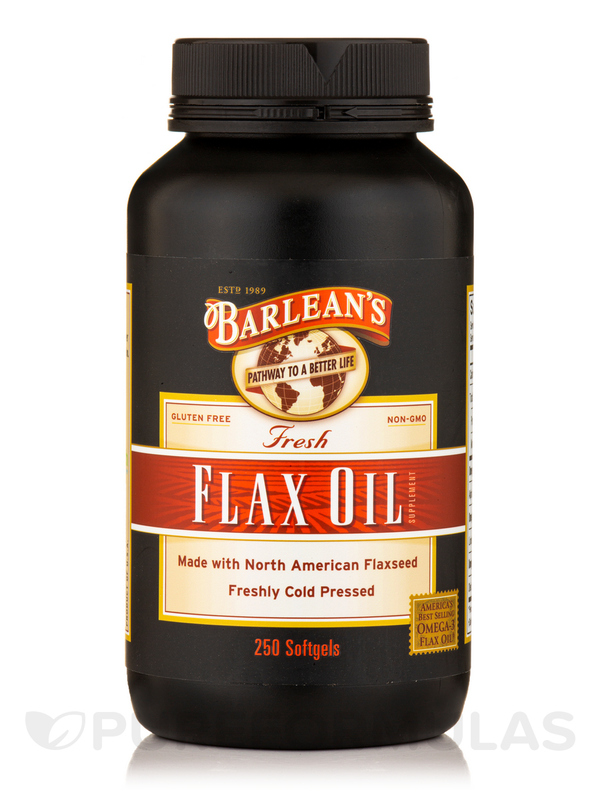 Flax Oil Softgels from Barlean's Organic Oils can provide high-quality flaxseed oil to support various aspects of health. Flax is among the few vegetarian sources of omega-3 fatty acids and is considered a superior health food. This supplement from Barlean's Organic Oils is rich in essential fatty acids‚ which are necessary for the body and need to be obtained from foods or supplements. 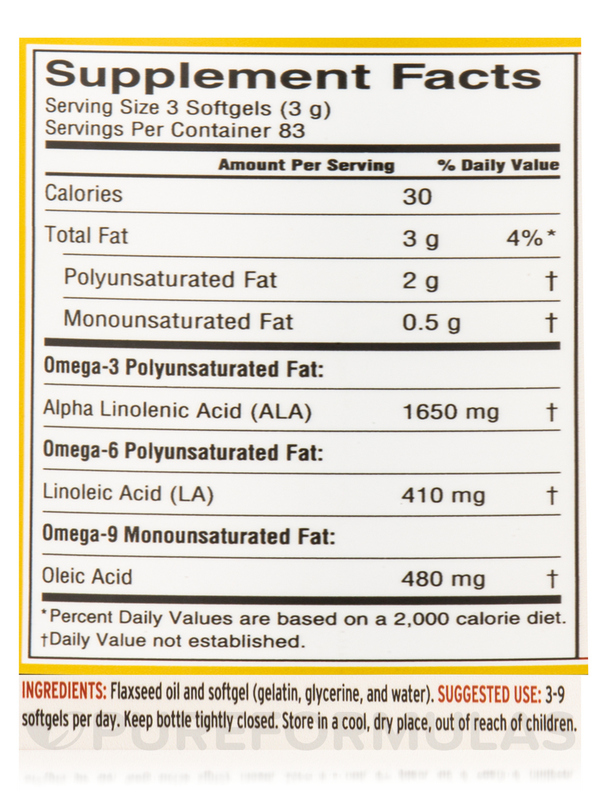 Unlike animal sources of omega-3s‚ the substance obtained from flaxseed oil provides alpha-linolenic acid‚ which has to be converted to eicosapentaenoic acid (EPA) and docosahexaenoic acid (DPA). Both EPA and DHA are known to support certain aspects of circulatory and brain health and might be especially useful during pregnancy. 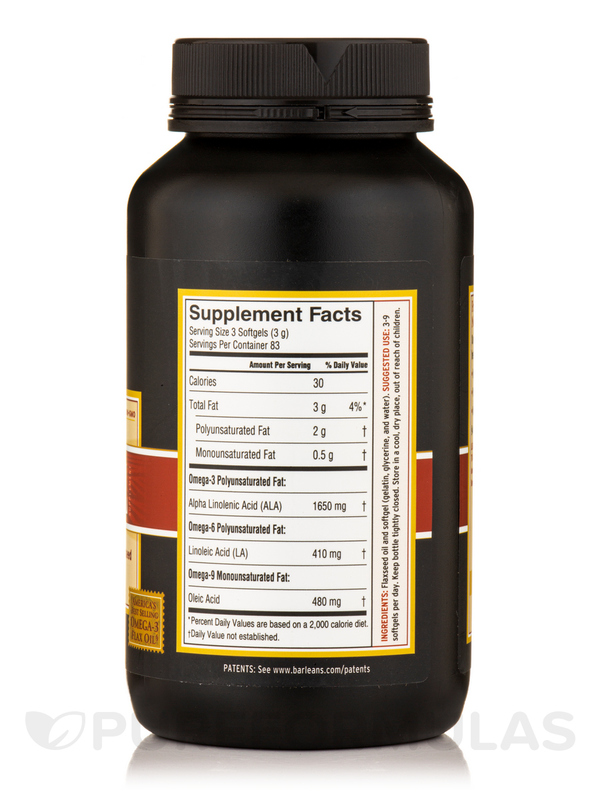 This supplement may help reduce inflammation and lower your risk of certain conditions such as mild joint pain. Flaxseed oil might even have laxative properties to relieve constipation and may also aid in areas of healthy weight management. 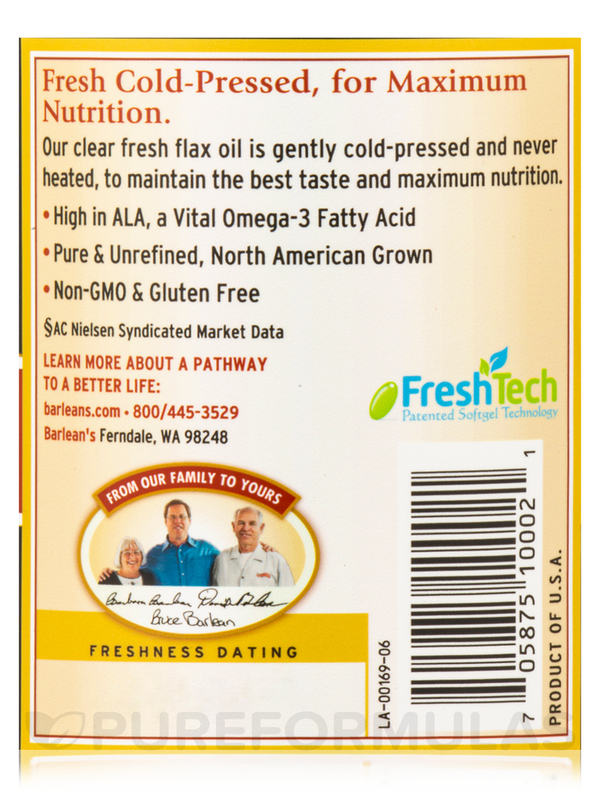 Flax Oil Softgels from Barlean's Organic Oils are ultra-purified and molecularly distilled to provide you with ideal omega-3s that may support health. Ingredients: Flaxseed oil and softgel (gelatin‚ glycerine‚ and water). Store in a cool‚ dry place‚ out of reach of children. Effective in mimicking oestrogen . Can be hard on the stomach if you are prone to acidity.